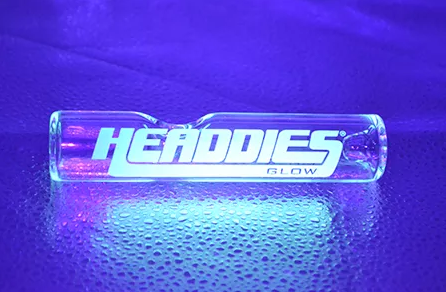 Introducing the first Glow Label brought to you by HEADDIES® Glass. This piece will surely be a head turner in any darkened room with its magnificence glow in the dark. With it’s super thick and sturdy glass, HEADDIES® is always hand blown from the San Fernando Valley. The Steamroller is made from super thick and sturdy glass, as HEADDIES® glass is always hand blown from the San Fernando Valley. The general idea of a Steamroller to get as haughty a hit as possible by holding a finger over the carb while lighting the bowl and sucking in until the chamber is full, then releasing your finger and inhaling to clear the chamber.